The MPC held rates at 6.5% as a culmination to its three-day deliberation. This was an expected outcome primarily because of two things namely; tightening liquidity conditions and subsiding inflationary pressure. Members unanimously voted to hold rates and based their assessment on the evolving domestic as well as international conditions. The permanence of the faltering food prices undercutting even the Minimum Support Price (MSP) as well as the oil situation were discussed at length. Committee members have continued with their monetary stance of 'calibrated tightening' but in the words of the Governor, there is a possibility of the space opening up for intervention in the future. Due cognizance was given to the state of inflation, especially the food category comprising of vegetables and protein based items such pulses. Despite a less than average monsoon rainfall, agro production has been higher in most Kharif categories resulting in prices plummeting to even below the MSP levels. Such has been the impact that the headline inflation, which otherwise records a healthy 6.1% without considering food and fuel (core), is deflated to 3.3% as on October 2018. Therefore, the committee sees a downside bias in its short term inflation forecast (H2 FY19) of 3.9%-4.5%, however its long term forecast of 4.8% in Q1 FY20 remains more or less constant. Reservoir as well as soil moisture levels pertaining to the Rabi season, sawing of which is estimated to be 8.3% lower than the previous year, as on November – was considered. The situation may therefore correct the food deflationary condition in the medium term and put upward pressure on the headline inflation number. Considering the other major component, MPC's outlook also considers oil prices, subject to the outcome of the OPEC meetings, beginning December 6th as well as future price stabilizations. Talking about oil prices, the committee is concerned by robust growth in the developed world, especially the US and Japan. While the Euro area has been reeling under significant headwinds emanating from Brexit, Italian instability as well new emission standards – the outlook remains consistent with expectations. Therefore, these factors may not only influence the domestic currency but also the direction oil prices will take based on demand forecasts. Liquidity was the next point of deliberation influencing the decision as there were concerns regarding the inter-bank overnight rate as well as Credit to Deposit ratio, given the fact that credit offtake is growing faster than the nominal GDP. Deputy Governor, Viral Acharya was quick to note the situation pertaining to the WACR/ REPO differential, which has turned negative in August this year. However, with OMO as well as operations under LAF, the RBI has managed to infuse enough liquidity in the system. As per the infusion calendar, the RBI will be infusing over Rs. 1.3 lac crore in the FY19 timeframe. 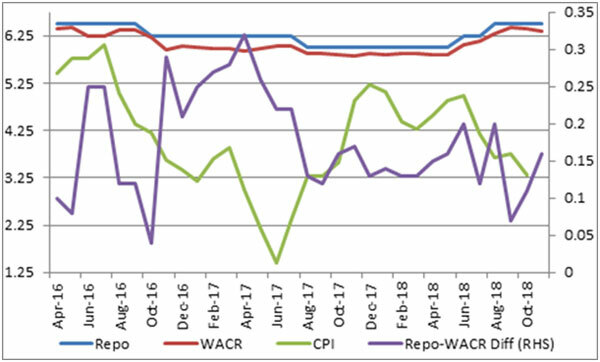 The positive effects are already seen with the WACR/REPO differential turning positive October onwards; in fact, in December, the WACR was trending 16 bps below the REPO, as per the committee's assessment. Reducing the regulatory requirement of maintaining Government securities, under SLR is also seen as a step to increase liquidity in the system by way of provisioning under HQLA. Commenting on the overall macro situation, the MPC believes that the prevailing capacity utilization level, offtake levels as well as robust IIP and PMI numbers, averaging 4.5% and 52.2 (combined), respectively –auger a strengthening economy. Combined, these factors give the committee the confidence that the Indian economy will maintain a healthy growth rate of 7.4% (Acuité estimate: 7.5%) this financial year and that future growth is sustainable. Despite maintaining a hawkish stance, while the MPC sees some upside risk due to geo-political and commodity risks, the tone of the note is sterile and devoid of caution. Having said that, we believe that the OPEC meeting on December 6th will be especially pivotal as members may consider constricting supplies in view of falling prices – a potential red flag as far as the inflation outlook is concerned. 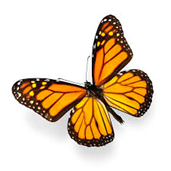 Additionally, there appears to be a misunderstanding regarding the stance of the US Fed, which may not be in a position to hold rates longer in an environment characterized by ultra-low unemployment and inflationary tendencies. We therefore conclude that collectively these factors may not give the RBI a long enough breather.